Another week and another guest post full of half marathon wisdom from one of my Write This Run teammates. Chris prefers straight lines to corners and will be racing himself to hopefully get his sub-90 minute PB. Here he settles minds everywhere that entering a half marathon was definitely a good idea! As a fellow member of Team Write This Run for the Reading Half Marathon Jen kindly asked to me write this guest post in theory knowing a bit about the distance having raced a couple of Halves before (even if my two Halves so far were done 10 years apart). 1. 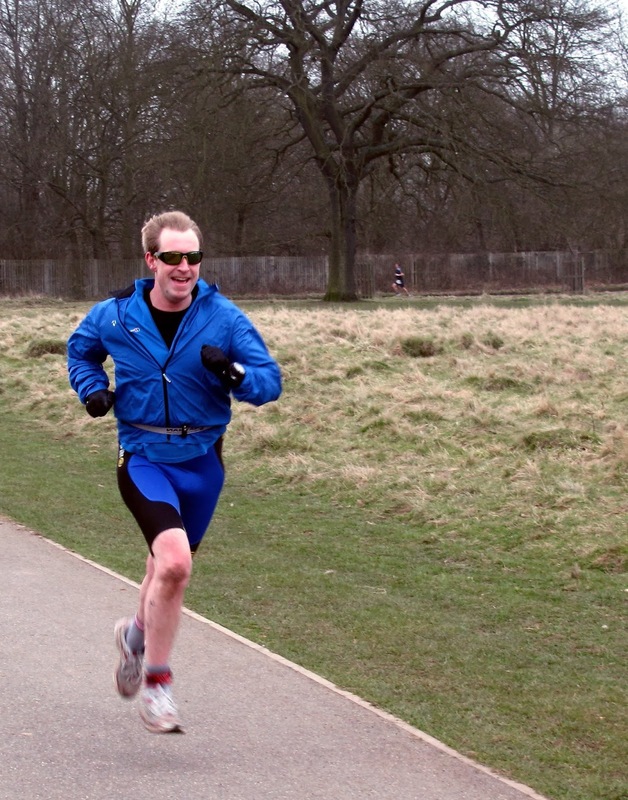 Easier mileage build up – the training miles required to complete the distance are more like 10-20 rather than 30-40 so easier to stick to a 10% increase per week and avoid injury. 2. A first step into endurance running – a different thing than smashing yourself to pieces for a 5k / 10k PB and a sensible-sized introduction. 3. Easier recovery – 13.1 miles shouldn't be underestimated but the recovery won't destroy your training plans – ideal if you have a marathon or other event later in the spring like me this year. 4. Smaller time commitment – for most people the training runs of 30 to 90 minutes to prepare for a half are much easier to fit in than the long run required for full marathons. 5. 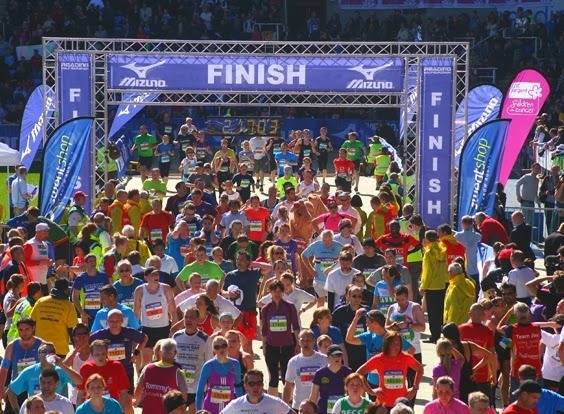 Loads of choice available - shorter courses and less marshals required make for a lot of races to choose from: Runner's World Half Marathon Calendar. 6. Get that 'big event' feel – at bigger event like the Great North Run (50,000 runners when I ran it 10+ years ago), Reading and Bath there's a massive race atmosphere. 7. Less all or nothing than the marathon – if your Half doesn't quite go to plan the choice of races / less training required make it much easier get back on the horse if required. 8. Less worries about nutrition / hydration – Whilst these things still need attention the half distance is closer to what can be achieved without eating / drinking so less to worry about here. 9. Even a bad day at a Half is over relatively quickly – i.e. in the time it takes to watch a rubbish film rather than like a horrible day in the office (know which one I prefer). 10. Finally and most importantly... the 2-3 hour time window for an average half is perfect for racing before vital post-race recovery by getting to the pub on time for Sunday Lunch! You can follow Chris' progress here and on Twitter here.